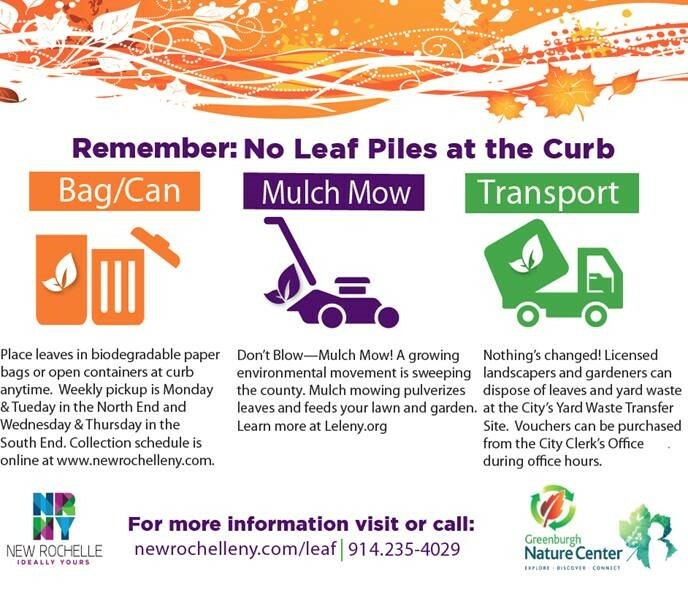 Effective October 14, 2014, the City of New Rochelle will no longer pick up loose leaf piles. Know your options! 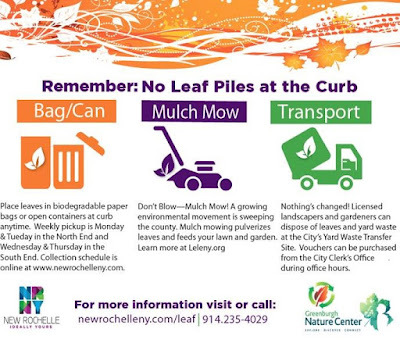 Read city guidelines for bagging, mulch mowing and transporting leaves.